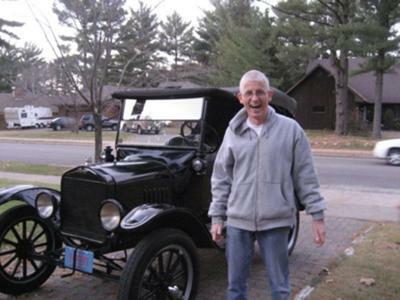 I did a ground up restoration of this barn-find North Dakota car after retiring from a career as a high school choral director at my alma mater in Eau Claire Wisconsin. It's actually a 23 low radiator body on 25 running gear, fenders, etc. which actually makes a kind of nice looking car. I've driven it for 2 summers and we're now doing a full overhaul on the engine so I'm ready for the national tour in Rochester MN next summer.